Why do brothers and sisters fight so much? Parents all the around the world worry about sibling rivalry and have had to put up with countless temper tantrums thanks to it. However, some kids do go on to become the best of friends with their brother or sister, but that would be few and far in between. In the majority of cases, sibling rivalry begins even before the second child is born. It then just continues to grow as the kids grow and eventually they may even find themselves competing for everything. Most of the time they are actually fighting for attention. It can really be frustrating for parents to watch while their kids continue to fight for everything from their spot at the dinner table to who gets to use the bathroom first. But luckily, sibling rivalry is not something that lasts into adulthood always. It is also something that can be avoided and at the very least, managed. But first, you need to know why sibling rivalry even happens. Many different things could trigger sibling rivalry. A lot of the time kids experience jealousy or competition and this can quickly escalate to them getting rough on each other. Apart from this, there can also be other reasons as to why siblings are fighting. Their needs are evolving. It is completely natural for the needs and anxieties within children to also affect the way that they interact with each other. For example, a toddler may be very protective around his or her toys and would react aggressively if the other sibling were to pick it up. They have individual temperaments. Your children are very different to each other. They may have identical facial features but they may process feelings and behaviours very differently. Therefore it is also normal for them to be at loggerheads on anything at all. Your attention should not divide them. When you give attention to your kids, try to always make it equal. It is not intentionally that you would devote extra time to a sick child, but the sibling would probably not see it that way. For them, that is competition and a reason cause a conflict between siblings. Special needs and sick children. If you have a child that is differently abled, you may have no other choice but to spend more time with them as they genuinely need it. However, as draining as it may be for you, your other children might feel neglected or even jealous that this is happening. Role models. 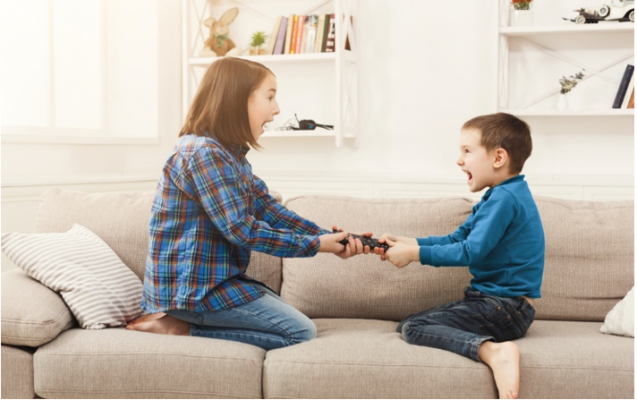 The way that you and your partner have built the culture of problem solving in your home could contribute to why siblings fight. For example, if they always see the both of you arguing with each other, they may genuinely believe that that, is the way to solve problems. What can you do when the fighting begins? Knowing what to do and what to avoid can make the difference between a quickly resolved sibling fight and a long, drawn out and dramatic one. Don’t get involved as much as possible. Always step in wherever there could be a chance of one of your children getting physically hurt. If you always step in, the children will rely on your intervention rather than learning to figure things out on their own. 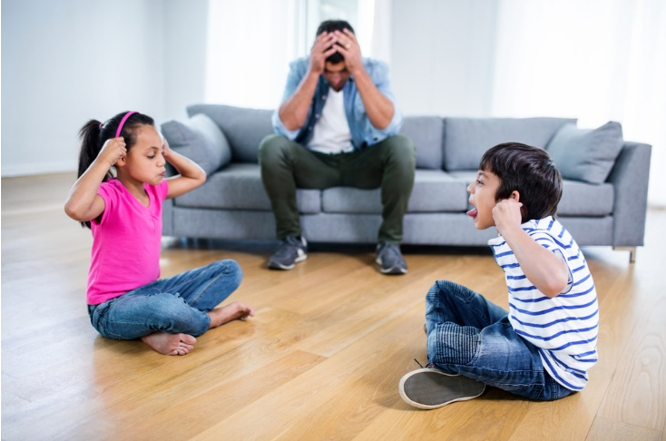 If you have concerns about the language that your children are using on each other during a sibling fight, coach them impartially about how they can express themselves without the need for hurtful language. Even then make sure you tell them what you should and then allow them to rectify the issue within themselves. What if you have to get involved to stop sisters and brothers fighting? Separate them until they have calmed down. Sometimes, it is intelligent to let them compose themselves for a while before you do a rehash of the conflict. There is no point of talking to kids while their emotions are running high. Remember that it takes two to fight. It doesn’t matter who did what. Therefore don’t put your time into asking who started the fight. It helps kids see that you are not attaching importance to one child. Try to create an environment where the kids learn to negotiate and compromise. If they both want to play with the same toy at once, you can always get them toys that are big enough and shareable for both of them to play at once. But if you notice that even then, one child seems to be not letting the other use that toy, remove it from both of them so that nobody can have it. Remember that as kids learn and grow they also begin to learn about things like the respectful way to behave towards another person, what they should and should not say, accept difference in opinions and understand that their perspective may not be the only one around, and this is a very important part of growing up as well as cognitive development. While sibling rivalry may literally be sucking the life force out of you, understand that there are many ways to deal with it and that you can be educated about it too. Gaining education in nannying and caring for children can really help you take the sibling rivalry phase with better confidence. If you are in the profession of nannying, this can help you look after the children entrusted to you better. Did you enjoy reading our blog? Let us know. You can also speak to our team directly on [email protected] for more information. 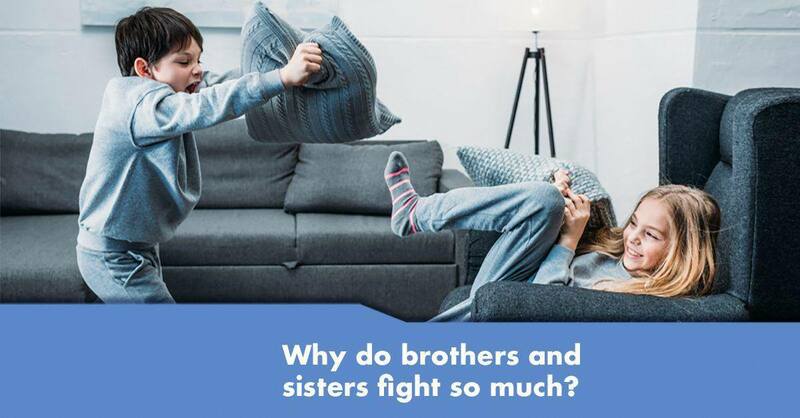 0 responses on "Why do brothers and sisters fight so much?"